Last night I took Megan with me to the press night of “Madagascar The musical” at Bridlington Spa, and of course she absolutely LOVED it! One of our goals this year was to take the kids on dates with each of us regularly, so that we could spend one on one time with them, and so they could have fun solo with mum or dad. We felt it was a good way to be able to talk with them, as well as create special memories too. 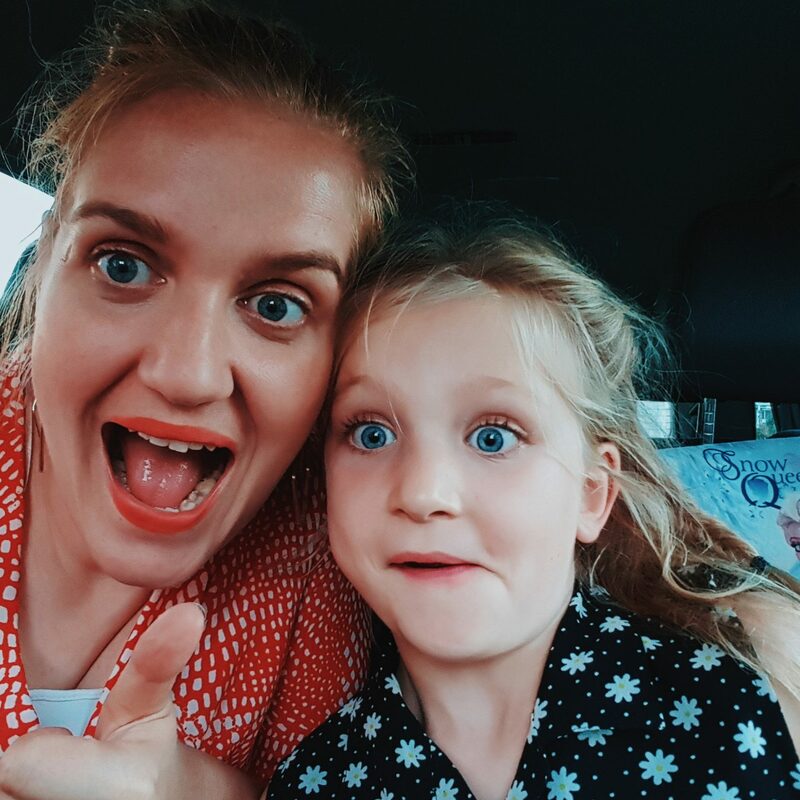 And so, when I received the invite to review Madagascar The Musical, I knew it would be ideal for our budding zoo keeper and a “mummy-daughter date” and it really was! I think at some point of life we have all seen the hilarious and much loved film “Madagascar”? With it’s cheeky plotting penguins and hypochondriac giraffe, it won our hearts many years ago as fine choice family film (and lets not forget the humour of king Julien’s character and his epic partying)! It is without a doubt a favourite here too for us all, and the stage adaptation is just as enjoyable for both kids and adults alike. Based on the hugely popular DreamWorks animated motion picture, Madagascar The Musical remains true to the plot and follows all of your favourite crack-a-lackin’ friends as they escape from their home in New York’s Central Park Zoo and find themselves on an unexpected journey to the madcap world of King Julien’s Madagascar. 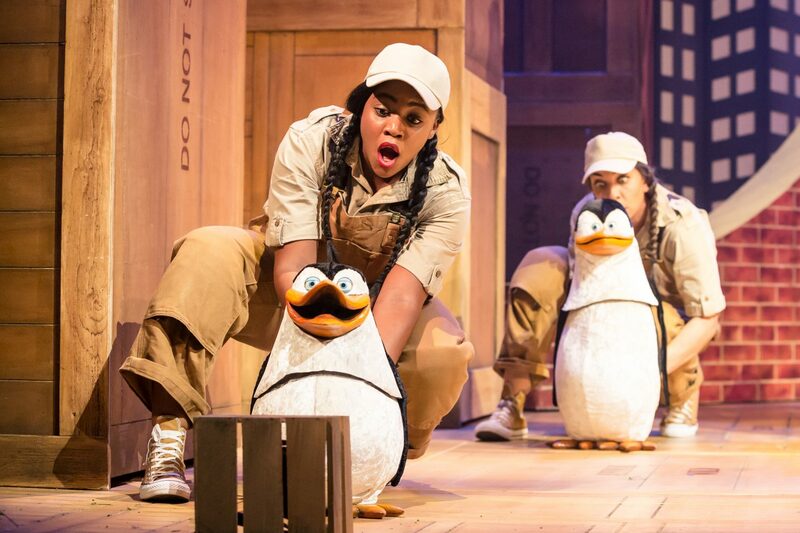 Starring X-Factor Winner Matt Terry as “Alex the Lion”, this show was filled with swag, brilliant singing and dancing, and very impressive plotting puppet penguins. I loved the character of Gloria (her voice is incredible), and Megan loved “Alex the lion” (but didn’t like the lightning effects). Matt Terry played it very well and his voice (as well as all of the others) and performance was fantastic. The character of King Julien had everyone in stitches, and the costumes of all of the characters were simply outstanding. The set is imaginative and colourful and it oozes comedy and high energy throughout. I love the bond of Alex and Marty, and the friendship portrayed between them and the others, is a wonderful message for any child. There were little kids and big kids surrounding us in the Spa, and everyone was fixated and laughing throughout – it really was a great family experience. Younger kids will most definitely be blown away with the lifelike costumes and puppetry, and older kids will love the plot, singing and jokes. And us adults? 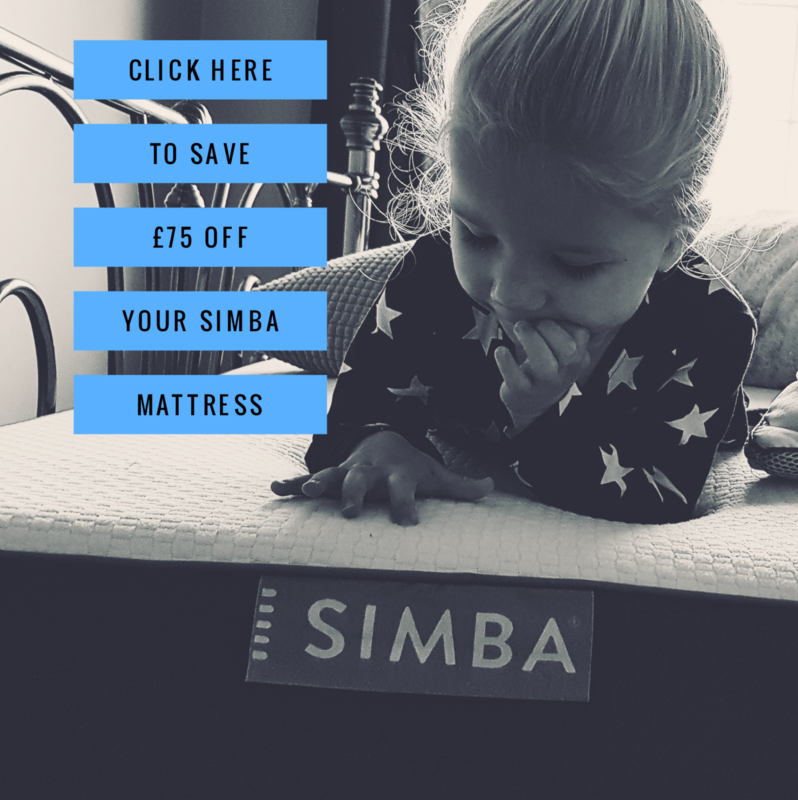 Well, for me it was lovely to see a much loved film come to life on stage and bask in its humour and adventure with my little girl – I loved King Julien and I loved attempting to “floss” with Megs during the finale while we laughed our socks off! We both had a wonderful night and went home singing and laughing all the way! 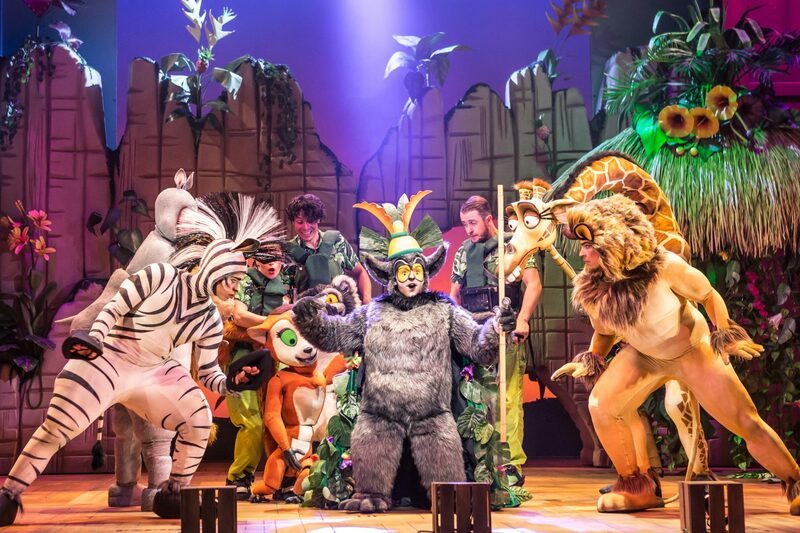 So why not join Alex the Lion, Marty the Zebra, Melman the Giraffe, Gloria the hip hip Hippo and those hilarious, plotting penguins as they bound onto stage in the musical adventure of a lifetime. Filled with outlandish characters, adventure galore and an upbeat score, you’ll have no choice but to “Move It, Move It!”! 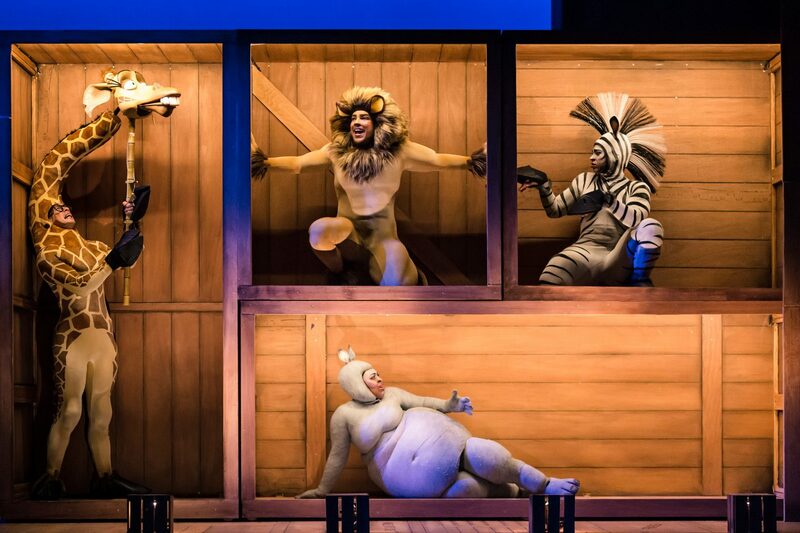 This brilliant family show is now on tour, and is currently being performed at Bridlington Spa. It is here until the 22nd of September and Tickets start from £29.50 for Adults and £17.50 for children. It starts at 7.30pm and ends around 9ish (with a 30 min interval) which isn’t too bad for school nights! *Thank you to Brid Spa for inviting us to this. Tickets were complimentary in return for an honest review.